High Quality Complete Air Conditioning & Cooling Service Exclusevily In Hudson County! There are times when heat can become unbearable, more so in the summer season. 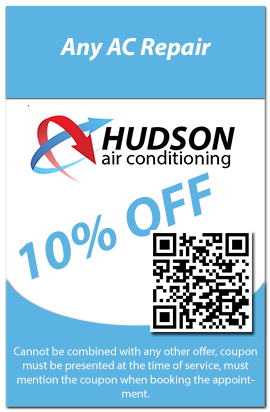 Air conditioning now and again offers relief from the uncomfortable heat. Hudson Air Conditioning Company is the ultimate provider for your Air Conditioning Service needs and requirements. You could need a central air conditioning unit, you might want a portable one. Bottom-line is that we are there to give you exactly what you want and need. 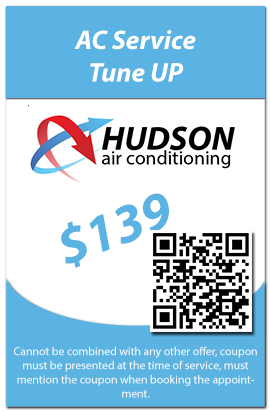 Trust Hudson Air Conditioning to repair, install and service your home and office HVAC system. We have a stock of quality air conditioning parts, filters and accessories. Our team of heating and air conditioning technicians will ensure you receive quality service for whatever make and style of conditioning unit you have. Our air conditioning service includes Air conditioning installation and repair, air-conditioning system servicing and maintenance, air conditioner replacements and 24-hour emergency repairs. When you need a new air conditioner, our experts will recommend the best top-notch sized unit that is appropriate for the space. We also make your life a lot easier by suggesting ways through which you can lower the bills for energy. Once installed, we will not leave the rest to you. We will make sure that maintenance is at par as we will schedule services such as duct cleaning, adding refrigerants to required levels, leveling thermostats inspecting condensers, blowers & lubricants, and replacing air filters. We always have your best interests at heart. With this in regard, we are very considerate about your finances and thus have very attractive payment options and air conditioning service packages. We keep you penny wise as you endeavor to maintain your comfort. We thus ensure that your comfort remains a necessity rather than a needless luxury. All in all, if you’re are experiencing problems with your air conditioning system or would like to install one, do not hesitate to contact us. We promise to give your more than you asked for.